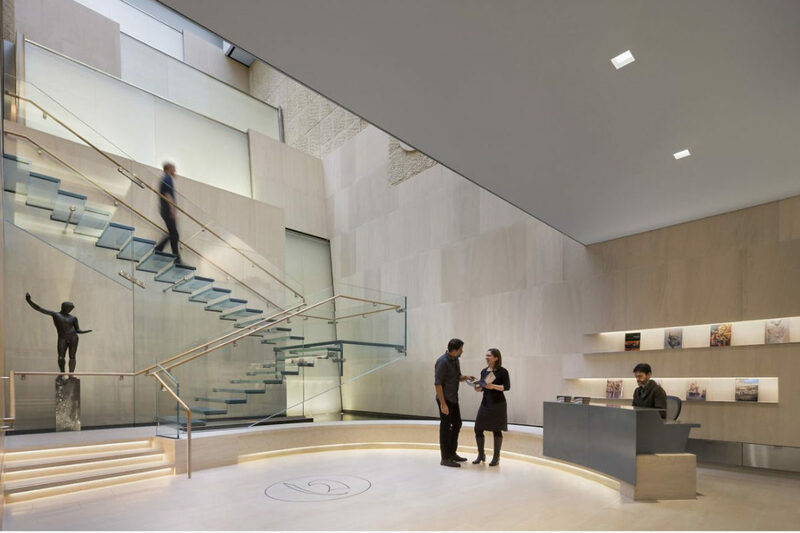 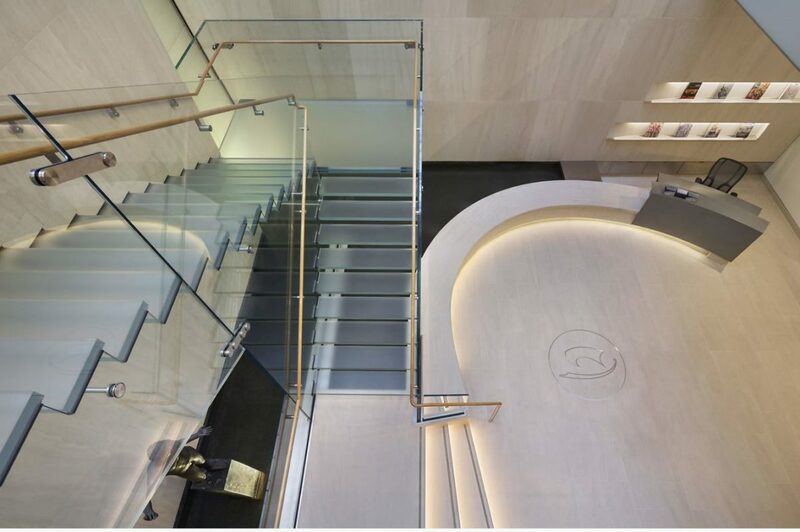 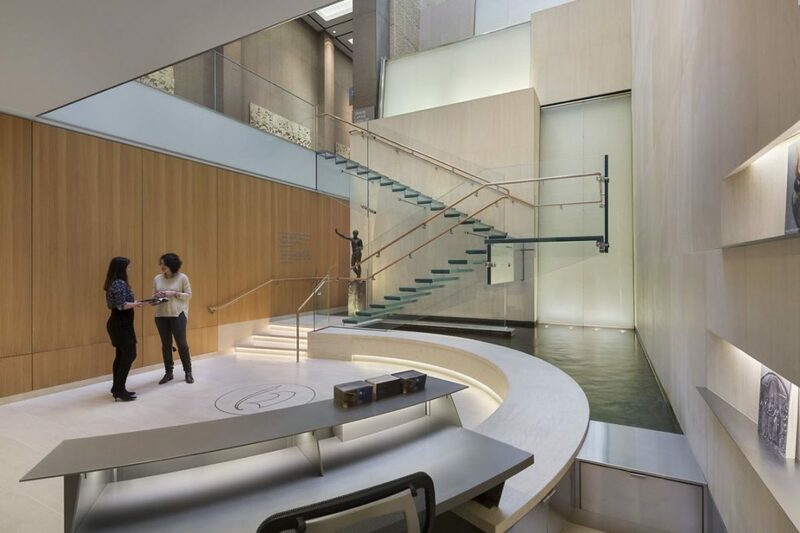 Mistral was chosen by the Onassis Cultural Center at 645 5th avenue to design + build all glass cantilevered staircase with glass treads as well as cast-glass waterfall feature. 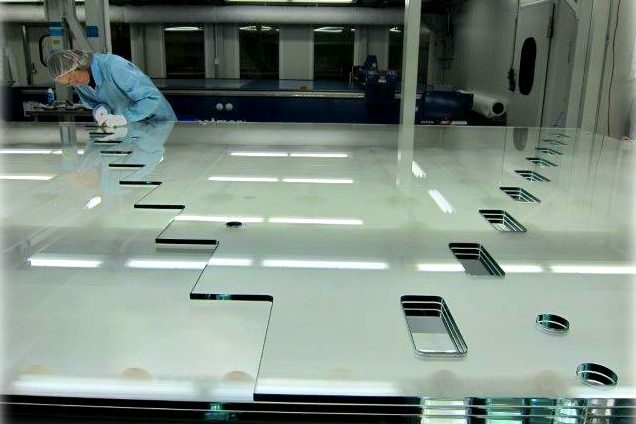 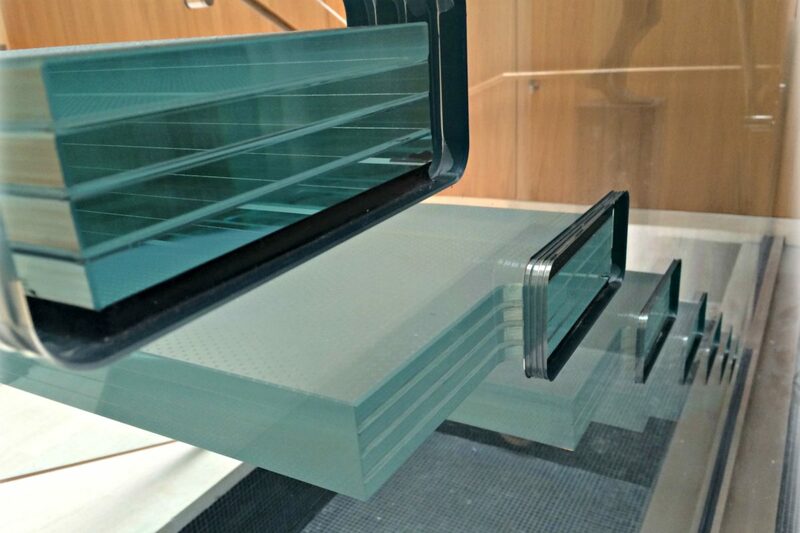 Precision fabricated quadruple laminated glass for center stringer of 17 feet in height. 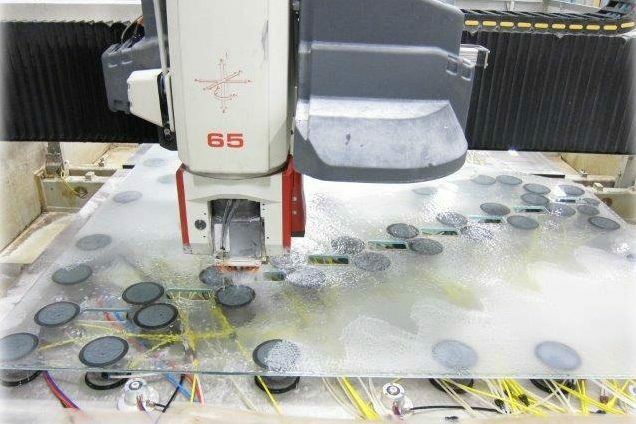 CNC cut + polished holes + slots. 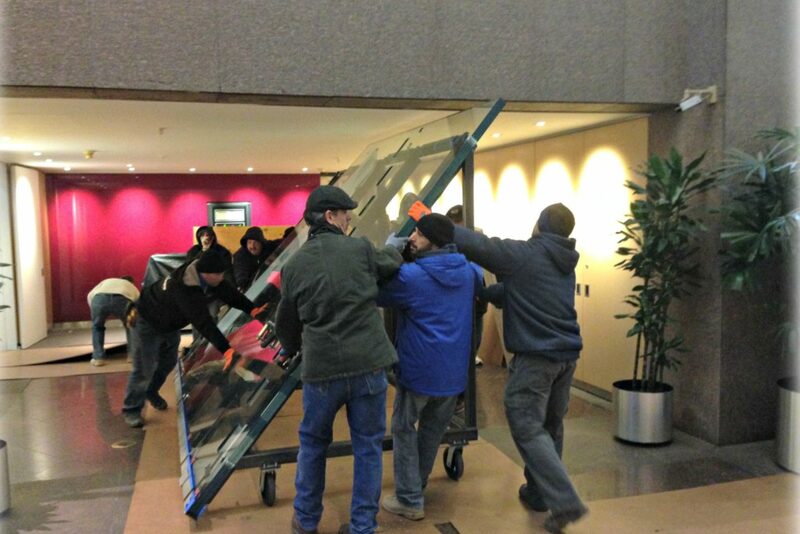 Delivery of center stringer glass; rolled in on custom fabricated A frame. 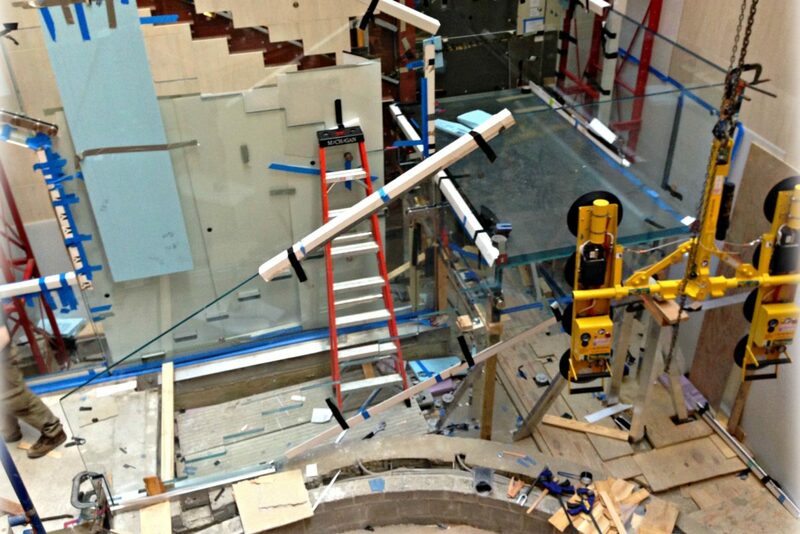 Installation of cantilevered glass guardrail + landing. 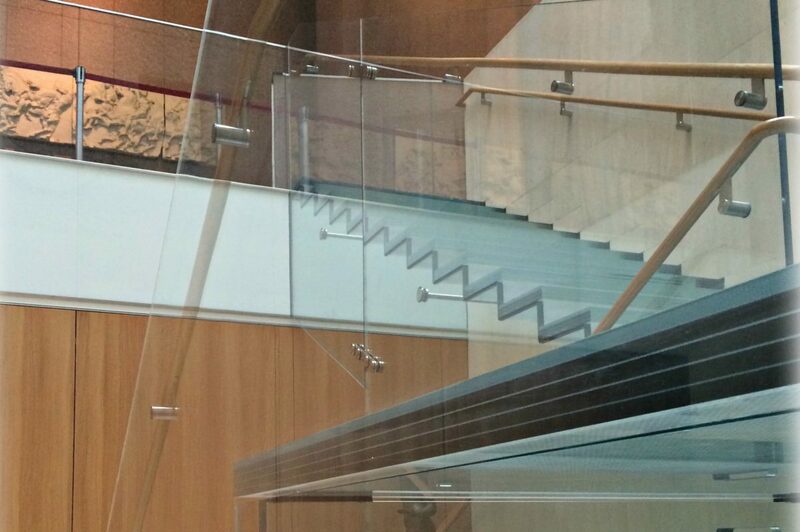 Perfection in architectural glass staircases. 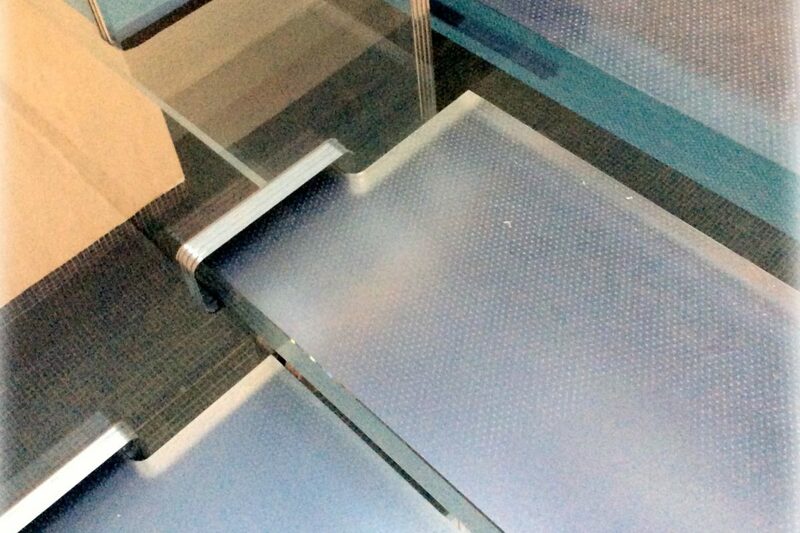 Glass treads set in mail slot for easy removal for replacement. 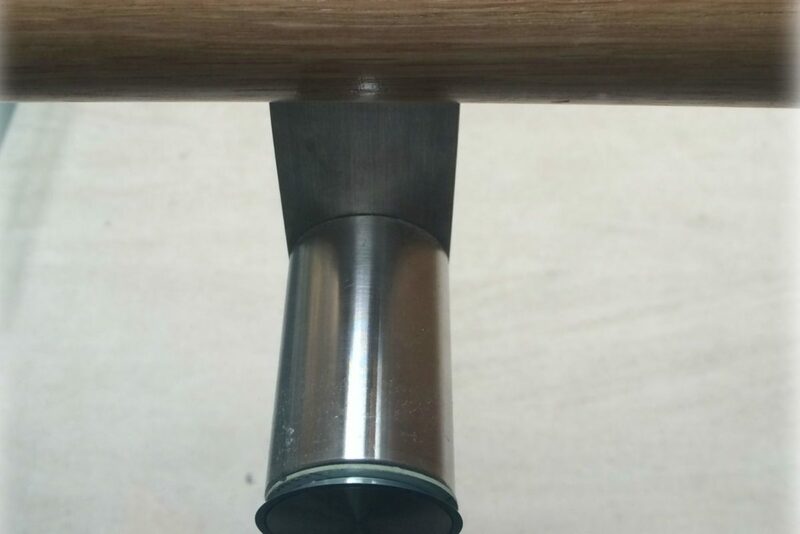 Embedded fitting inside of glass to hold bracket for handrail. 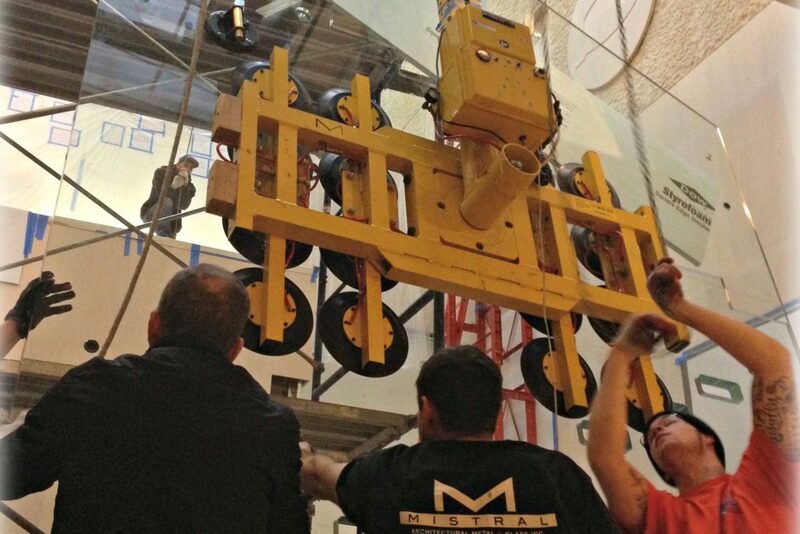 A true feat of engineering. 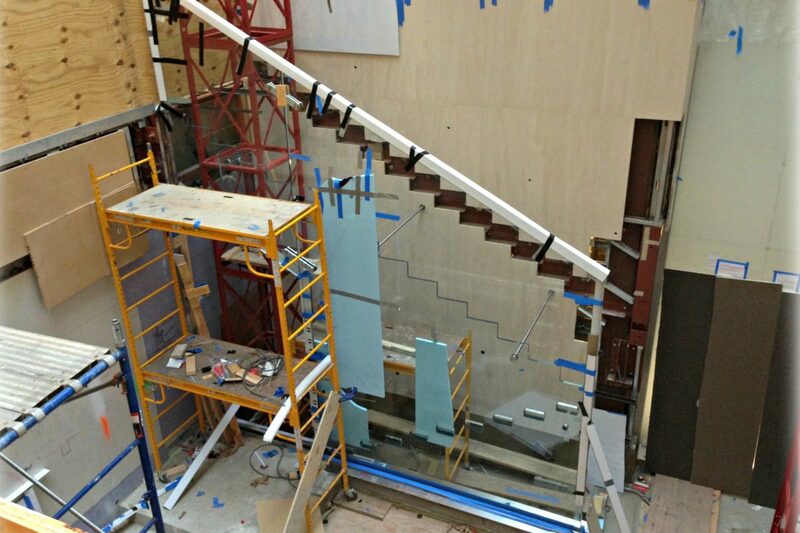 Glass stair over water feature. 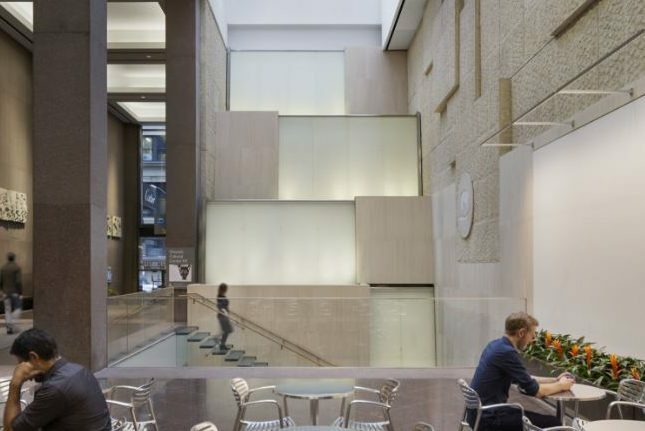 Illuminated cast glass waterfall feature.